Zillionz Jr. Deluxe ATM Savings Bank Only $12.51 (Reg. $53.99)! You are here: Home / Great Deals / Amazon Deals / Zillionz Jr. Deluxe ATM Savings Bank Only $12.51 (Reg. $53.99)! Check out this great Amazon deal! 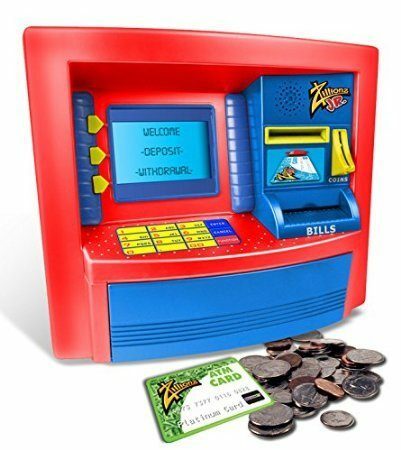 Right now you can get this fun Zillionz Jr. Deluxe ATM Savings Bank for only $12.51! This is a wonderful way to teach your kids about money!